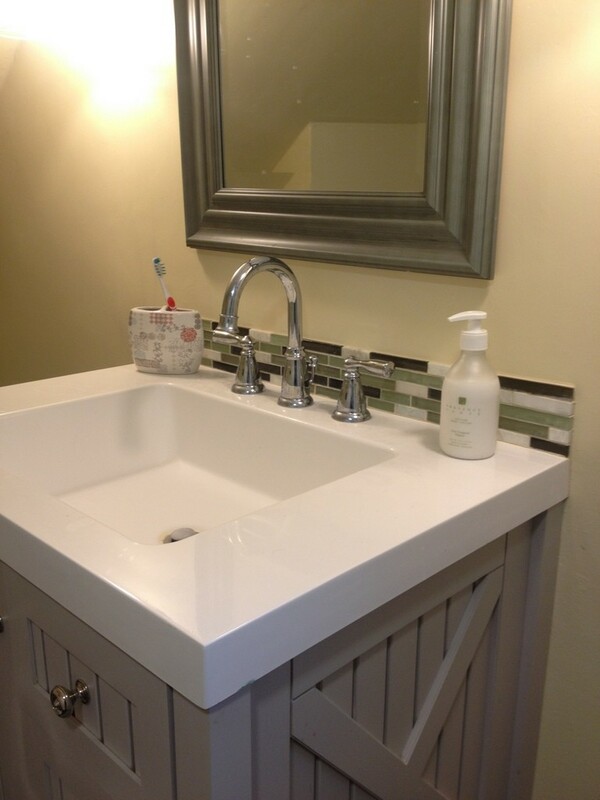 Do you have a bathroom mirror? 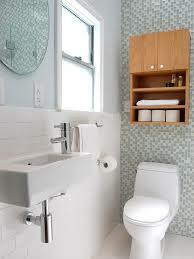 Of course, you have because it is essential part of any bathroom. 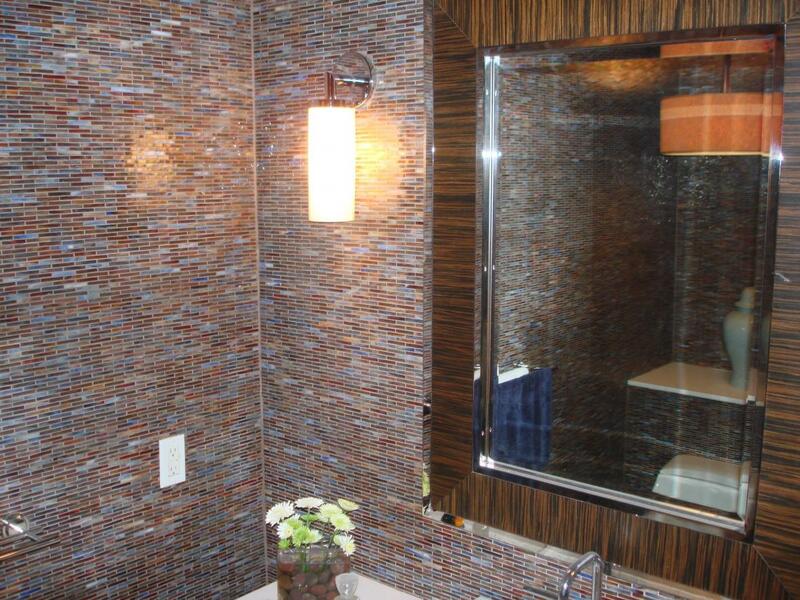 How do you think is it worth framing a bathroom mirror with glass tile? 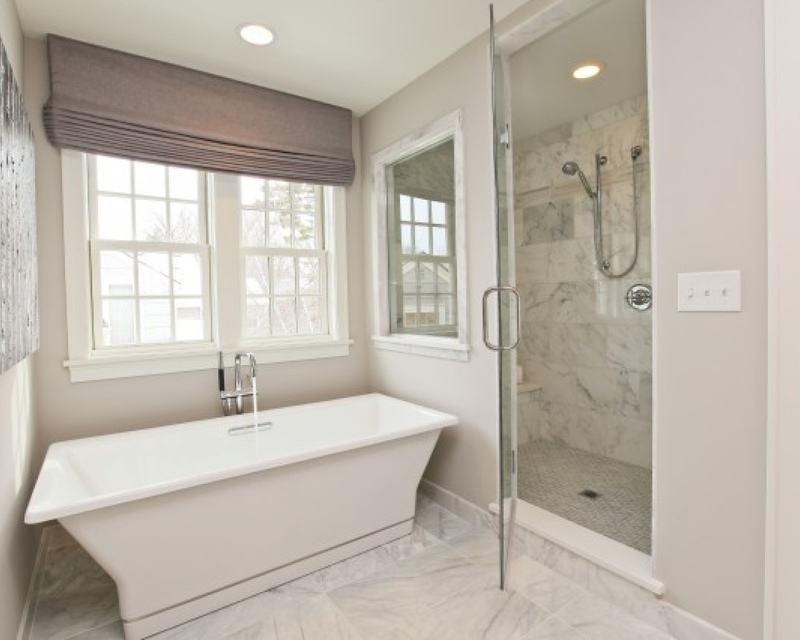 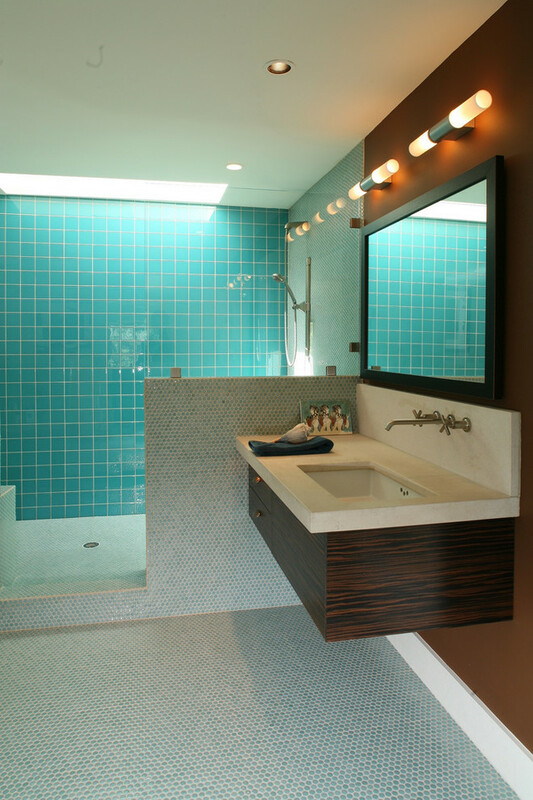 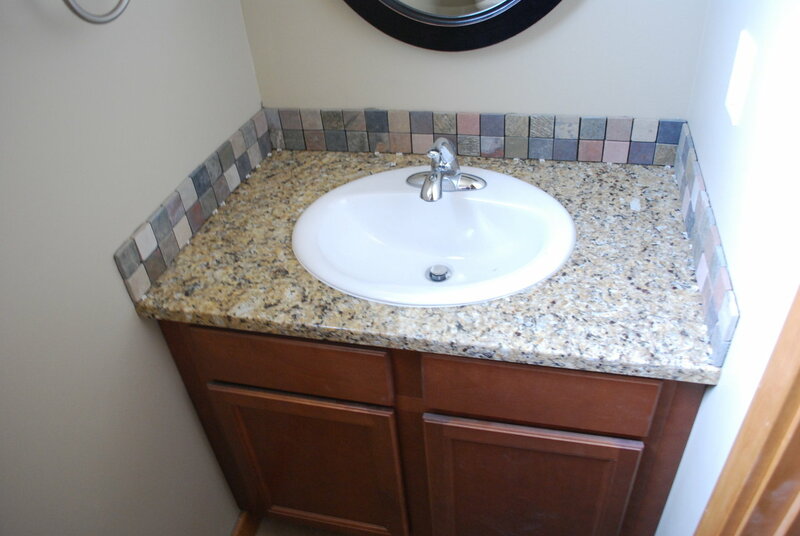 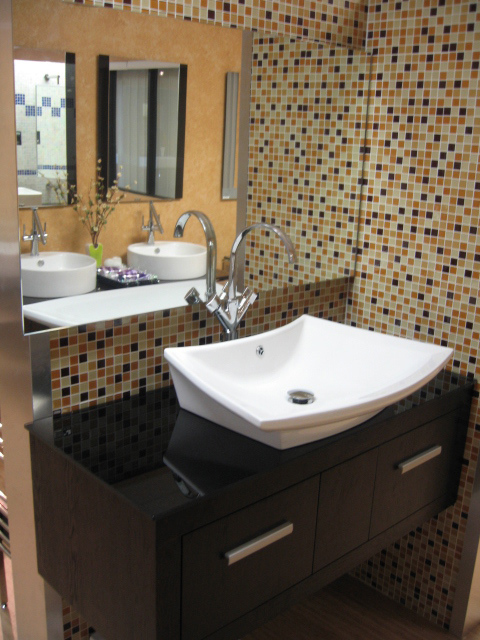 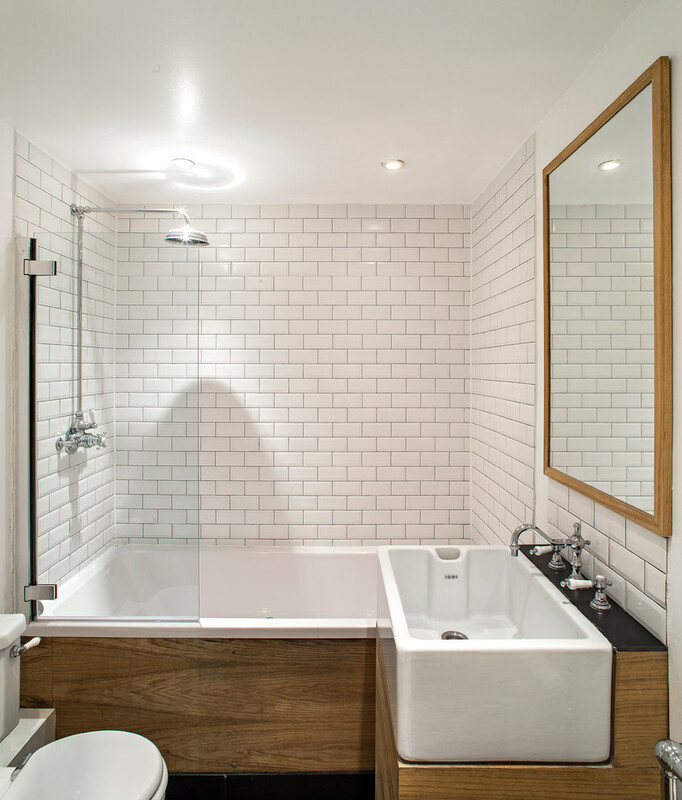 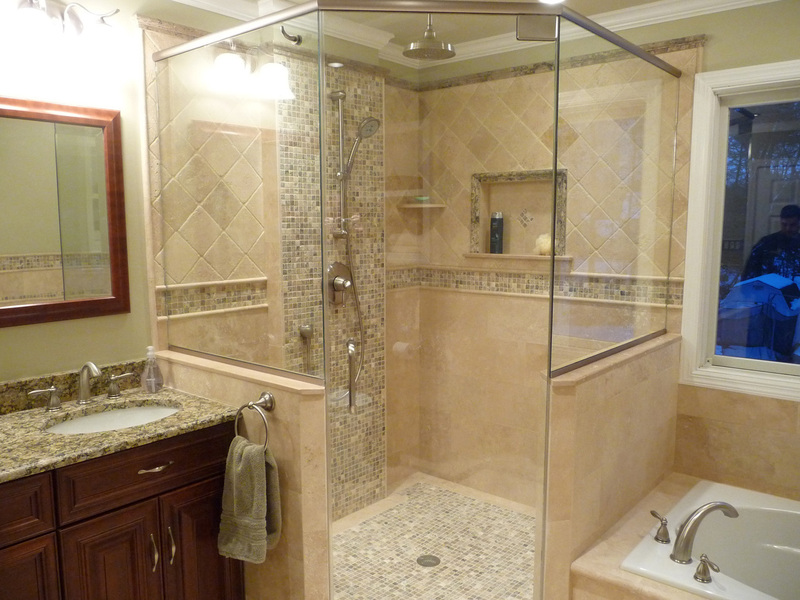 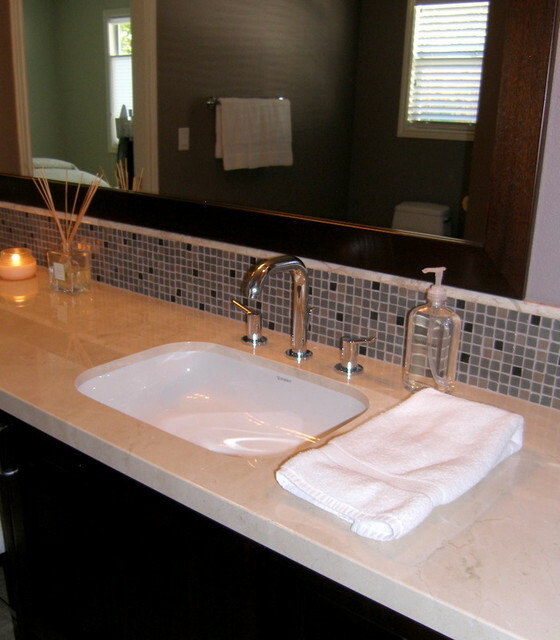 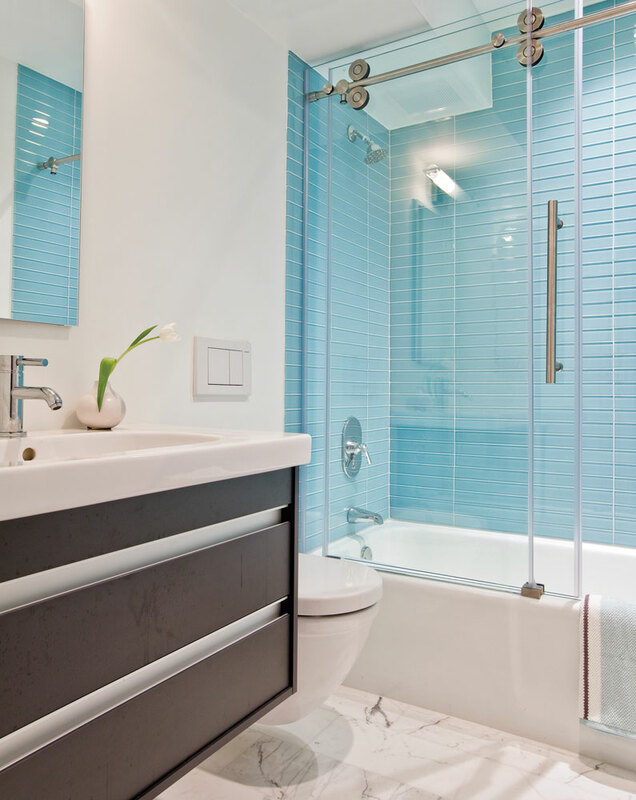 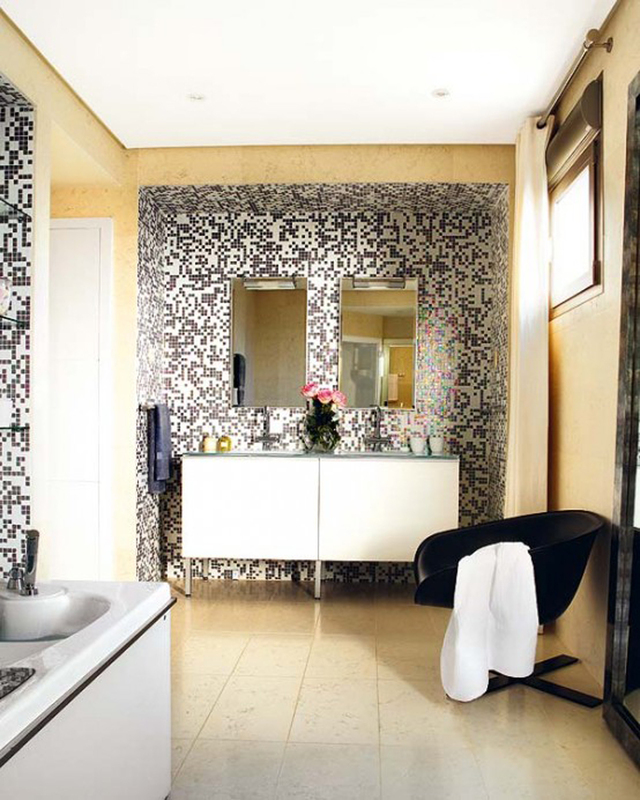 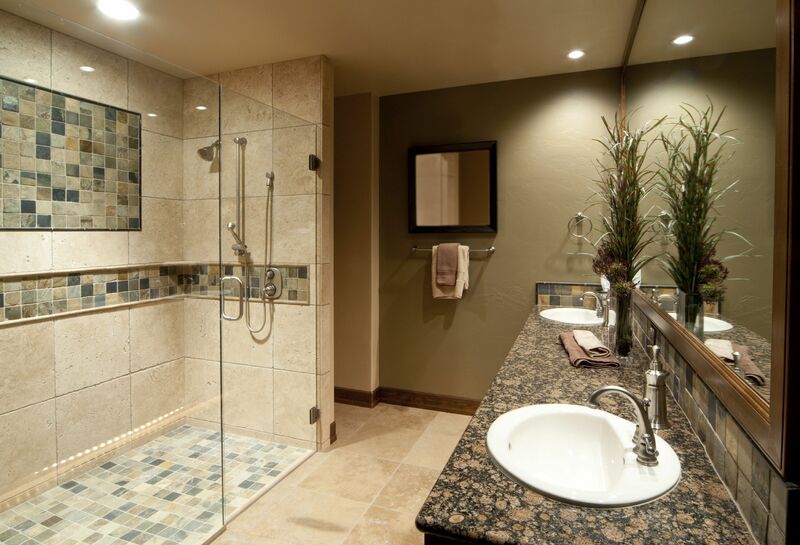 If you would like to have an outstanding bathroom, then for sure the answer will be positive. 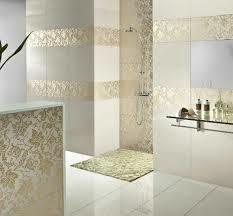 There are various ideas about what tiles exactly to choose and what design to select for the framing bathroom mirror. 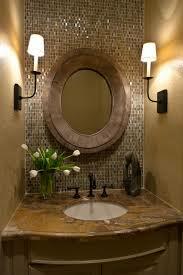 Also it depends on the shape of the mirror – be it oval, square, rectangular, or round. 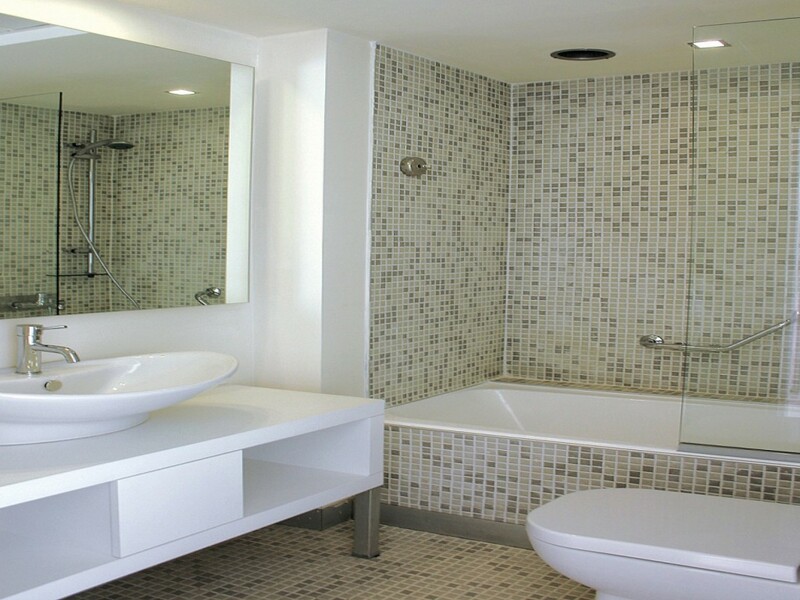 As well you must decide what picture would you like to see – big mirror with small tiles around or average mirror framed into the large tiles? 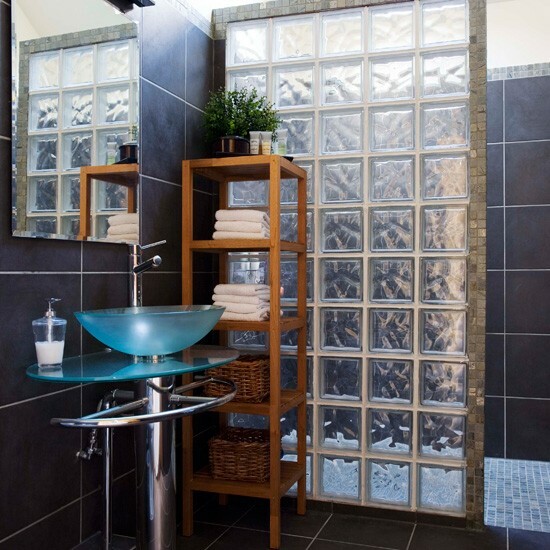 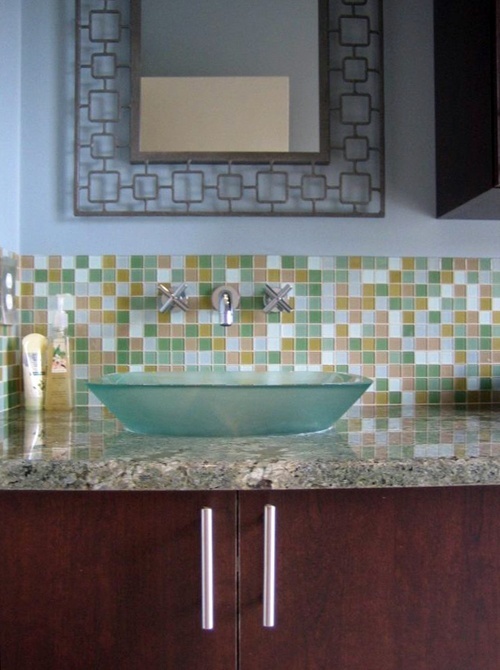 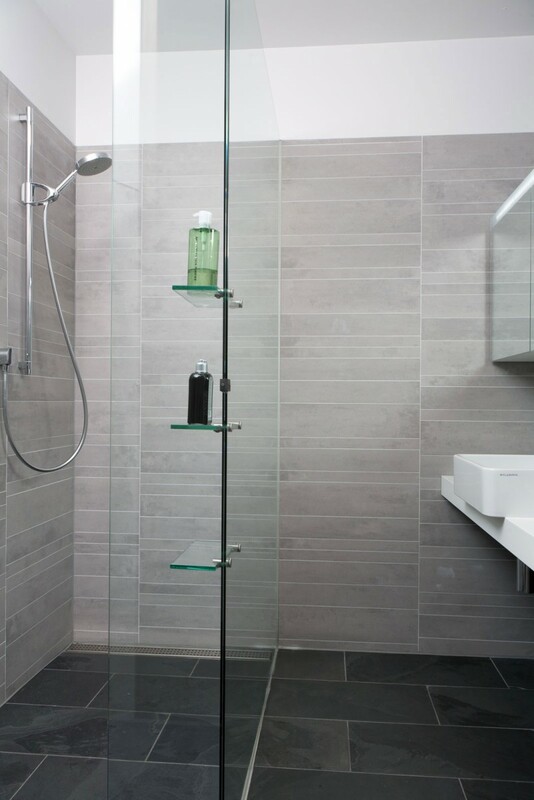 But one thing for sure – no matter what kind of glass tiles you are going to pick up you can be sure that they are easy to clean, so your mirror’s frame will always look amazing. 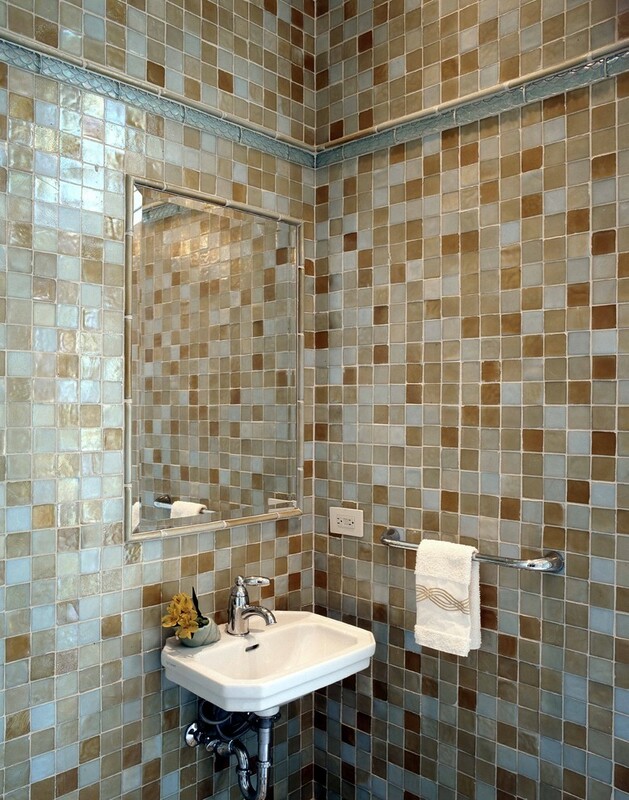 Thanks to the special coating and absence of the pores the glass tiles do not absorb dirt or mold, so to clean them it is just enough to use wet cloth or sponge with warm water.